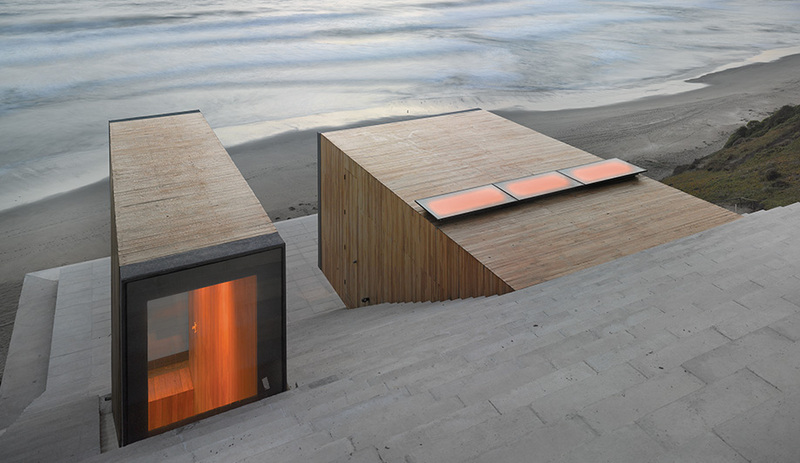 Two viewfinder windows jut out from the stepped roof to frame vistas of sand and surf. Supporting columns are left visible and are set inside to allow the exterior glazing to meet at each corner. Living room sofas by Gervasoni, pendant by Artemide. 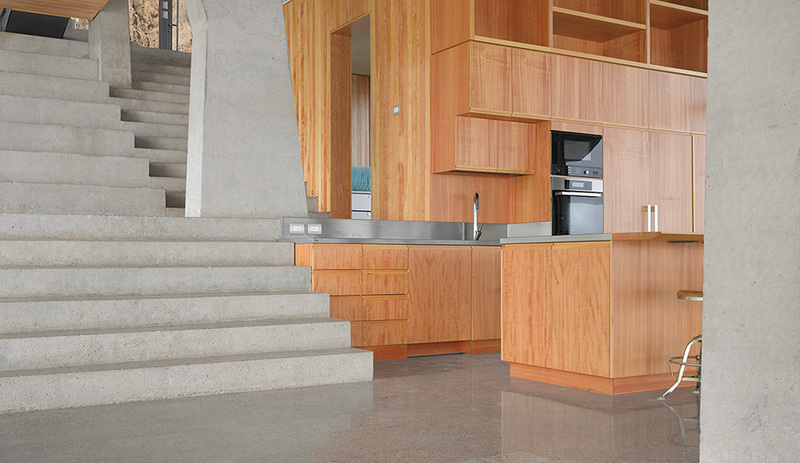 The kitchen cabinetry, as well as other wood used throughout, is lenga, a renewable wood forested in Patagonia. Appliances by Miele. 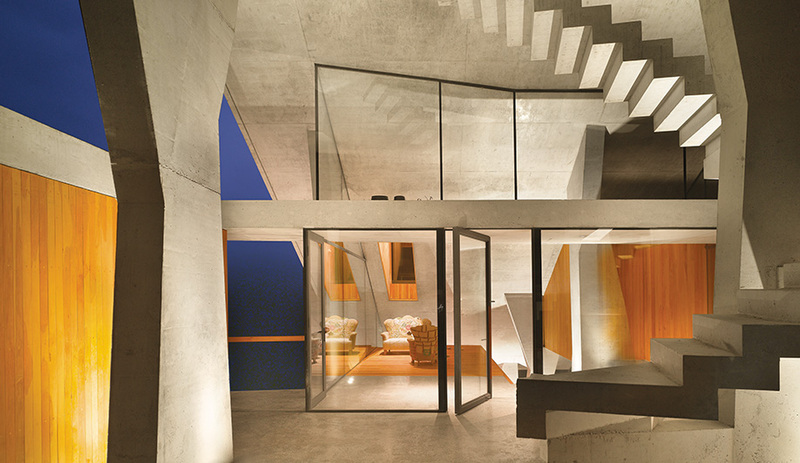 Visitors descend to the living, dining and kitchen areas via open concrete stairs that span four levels. 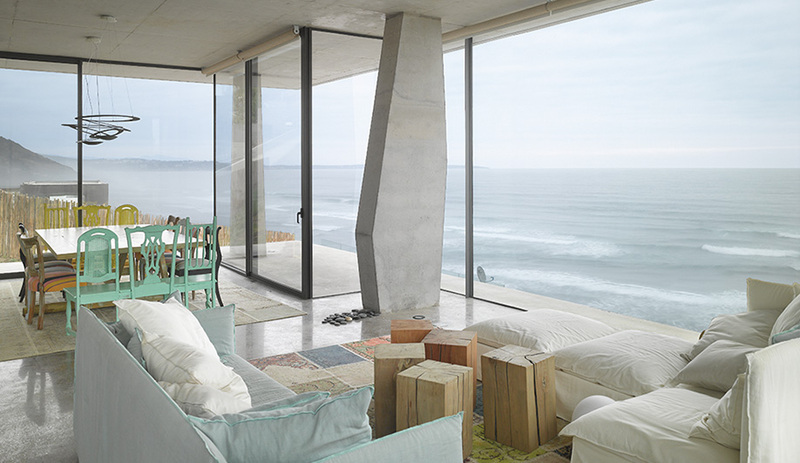 Some of the most sensational beach houses in the world nestle into the rocky coastline of Zapallar, just north of Valparaíso in central Chile. They are weekend retreats for affluent families, an easy drive from their homes in the sprawling city of Santiago. 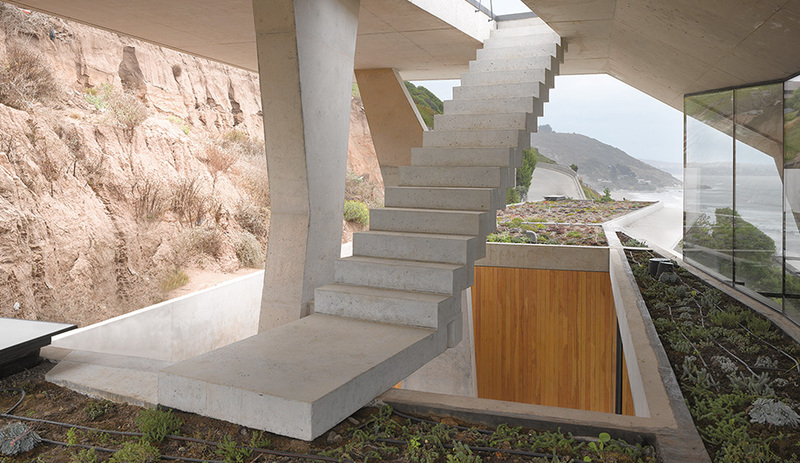 Most are clean-lined blocks of concrete that project from the slope and open up to terraces facing the South Pacific. 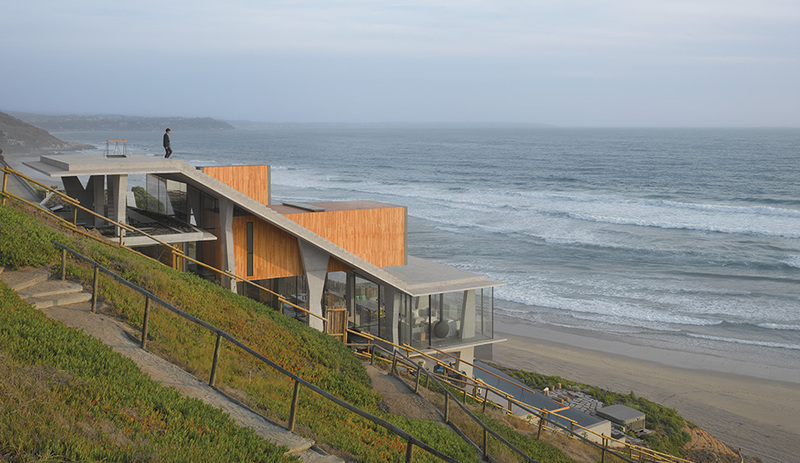 As architect Max Núñez says, “There’s no strong tradition of oceanfront architecture in Chile, so you can start from scratch. 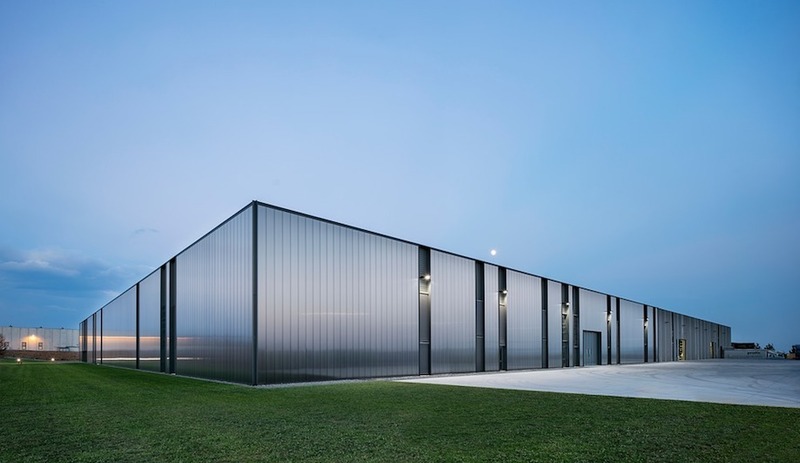 Clients don’t come with preconceived ideas, so as architects, we are lucky to have that openness.” A couple, with three teenage children and a plot of land, asked the Santiago architect to surprise them with something extra. Núñez did just that. 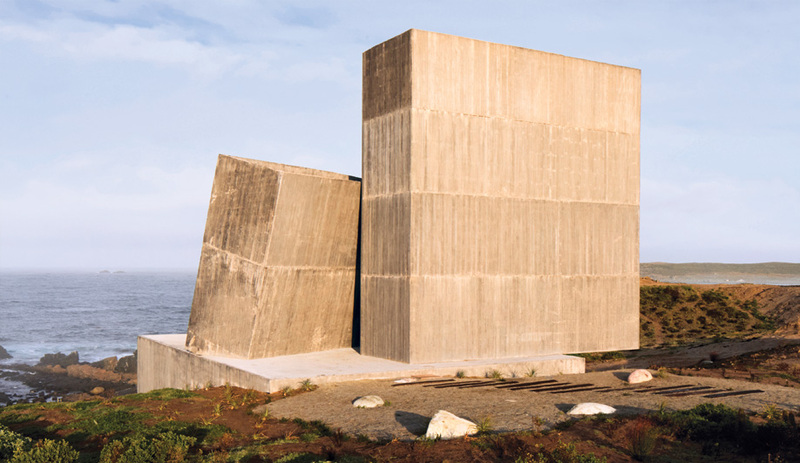 At age 40, he has already made his mark in the region with a series of beach and mountainside houses, a retreat on the windswept island of Chiloé, and an arts school – each a distinctive response to a challenging site and the vagaries of climate. The 340-square-metre Ghat House, which takes its name from the steps that border the Ganges, is shaped by the topography. 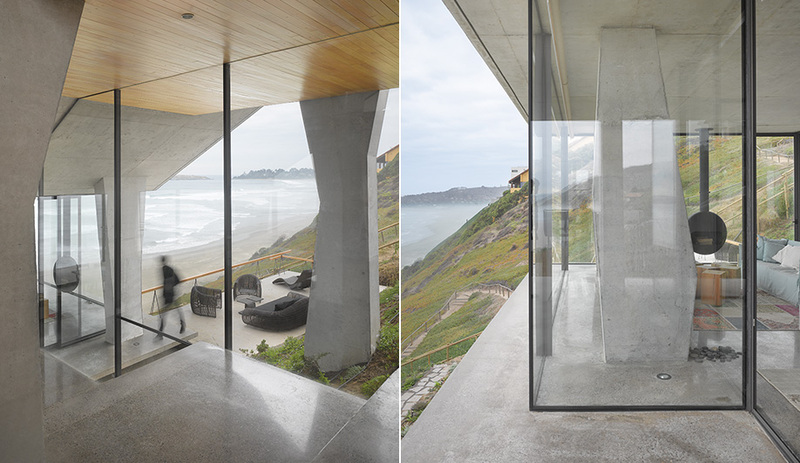 From the sunken entry court, accessed by a spiral ramp from the coast highway, the structure cascades down the slope and then flattens out to give the mid-level living areas panoramic views of the coast. Inspired by the house Italian writer Curzio Malaparte created for himself on the island of Capri, with its iconic wedge of steps leading to a flat roof, Núñez turned his sloping roof into a giant staircase. Here and within the five-bedroom house, the clients agreed to leave the steps unrailed, accepting the risk and increasing the drama. 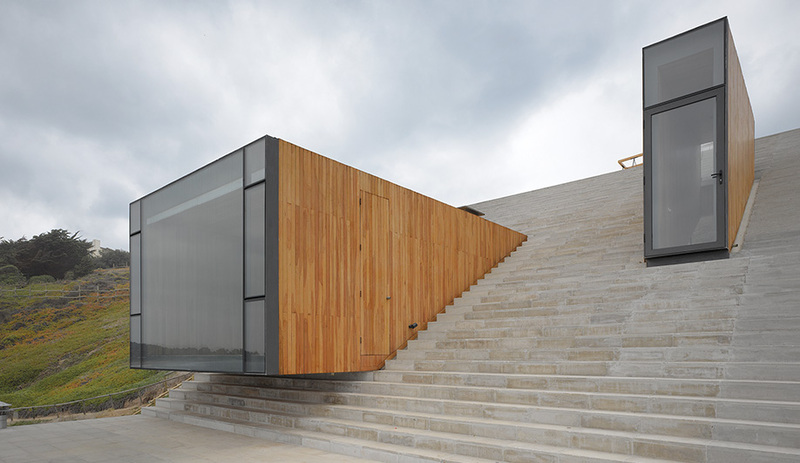 Rooms clad entirely in renewable lenga wood jut from the steps like drawers pulled from a chest, adding a third element to the concrete and expanses of glass. 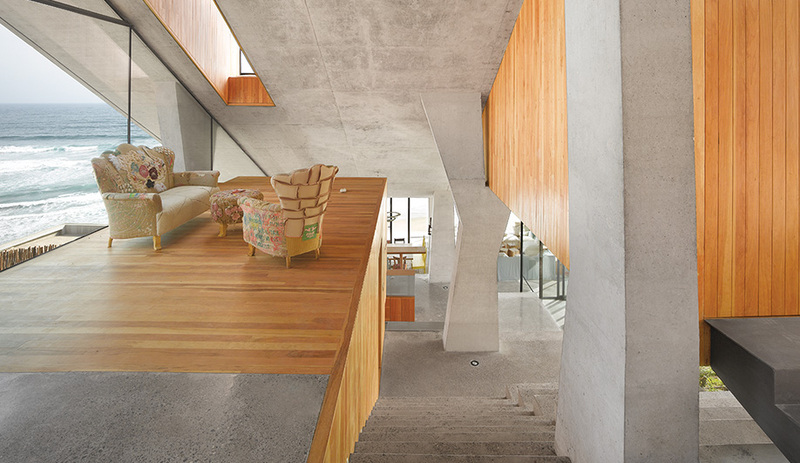 The house has an ideal combination of strength and lightness due to its unique configuration of 15 individually shaped concrete columns, and floor planes that taper as they project out. 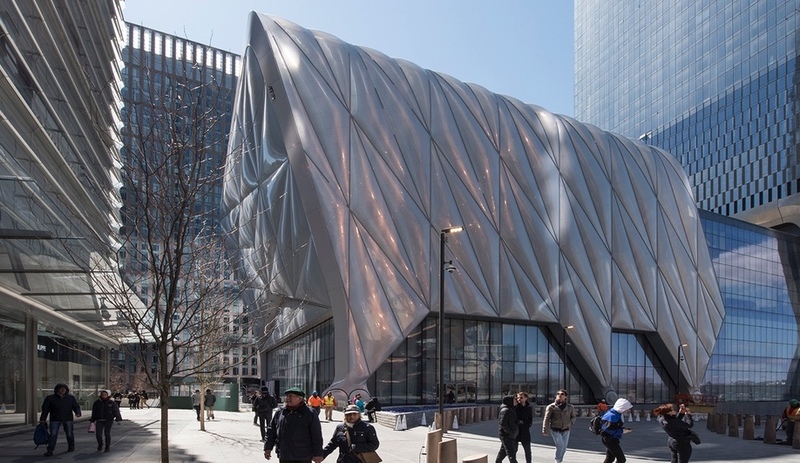 As a result, the building creates gorgeous vistas and pulls a flood of light deep inside. 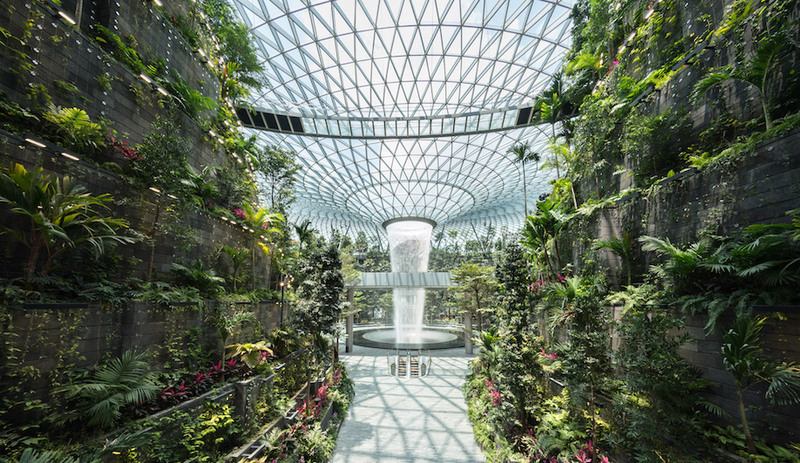 There are four principal levels, plus the roof and a lower terrace, so the owners and their guests get a constant workout as they move through the house, enjoying an architectural promenade of rare delight. 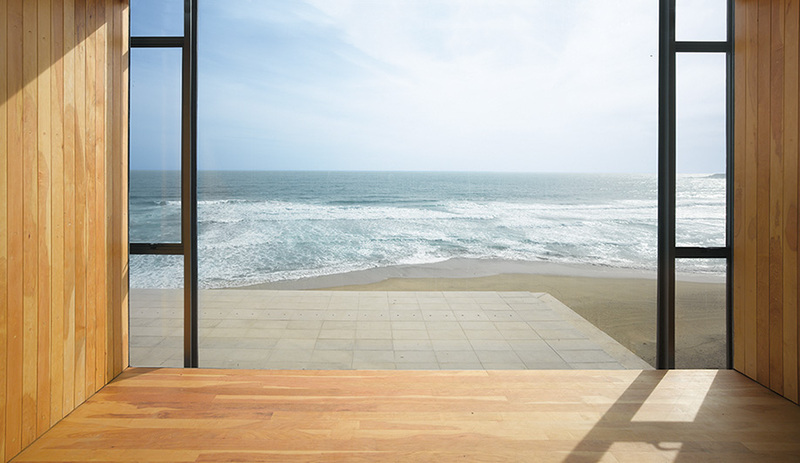 On perfect days, breezes blow through the house as though the walls have evaporated. A staircase wrapped around the column that supports the entry canopy seems to twist and overlap like an M.C. Escher drawing before terminating abruptly at the roof terrace, where steps lead down to the children’s bedrooms and kitchen, and down again to the expansive living room and pool.